L'Étape du Tour is a series of organised mass participation cycling events that allow amateur riders to race the same routes as your favourite Tour de France stage. First held in ‘93 it takes place each July, normally on a Tour rest day. The event is held over mountain roads in the Pyrenees of the French Alps, up climbs such as the Col du Galibier, Col du Tourmalet, Mount Ventoux and others. The Tour now consists of 15 L’Étape events around the world, all aiming to give you a taste of the suffering, race conditions and incredible atmosphere of racing Le Tour. L’Étape Australia is one of these events and is now in its third year. I haven’t ridden the Cols of France but hope to one day! Something a little closer to home is the Cols of the Snowy Mountains. Yes, I hear you saying it’s not the same, but just hear me out on this one. The L’Étape Australia heads up Col de Kosciuszko, which summits at Perisher Ski Station. It’s 23.5km long and a lot closer to home than Europe. After a couple of short flights, I descended into Canberra, picked up a rental and headed to Jindabyne, which is the location for the event and about 2hrs from Canberra. The drive took me through farmland and into high-country towns. Clouds started to cling to the surrounding hills and as I got further into the mountain region, the excitement (nerves) level lifted. Race day arrived, and my 5:30am alarm startled me. Luckily for the riders staying at the hotel, they were serving breakfast early meaning we could fuel up before the big day. Scrambled eggs, a black coffee and an orange juice to wash down the nerves. Rolling down to the start line was easy; streets closed so it took no time. Riders gathered round and encouraged one another for the challenges that they’d face. To be honest, I was a little late but managed to shuffle (moved a barrier or two) my way into the group. 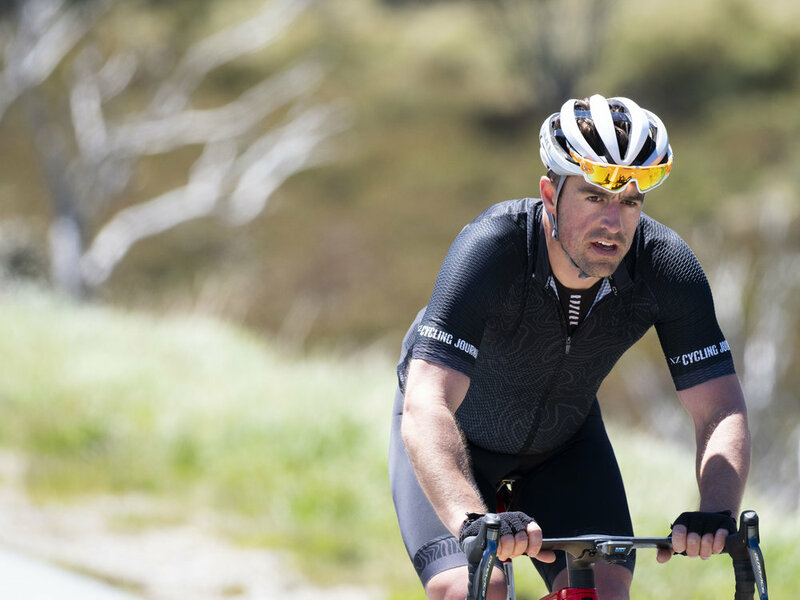 There are two ride options at L’Étape Australia. The Race delivers a route that is as tough as the mountainous stages of the Tour de France with a tough 170km course consisting of 3000 metres of climbing. 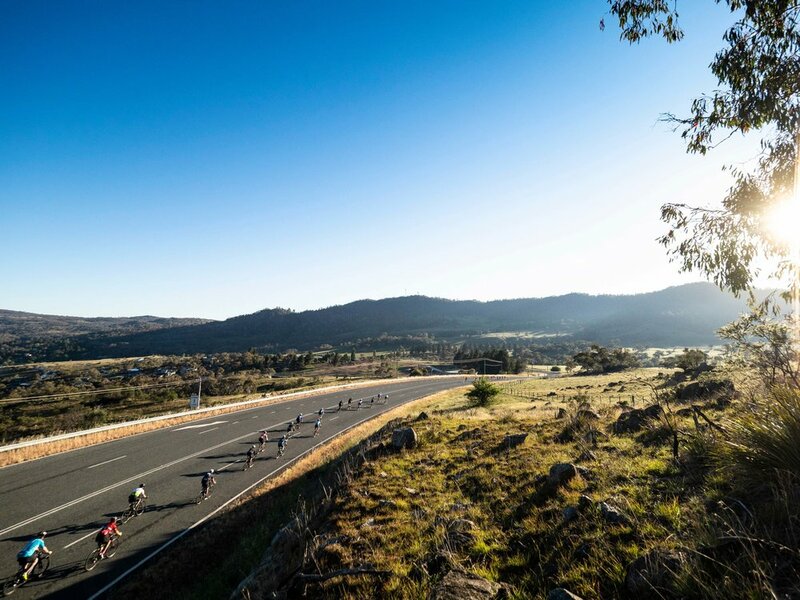 The shorter version of the Race, the Ride, is for those who wish to immerse themselves in the atmosphere and at 108km with 1300 meters of climbing, is still a gruelling ride. Both are under full Tour de France professional conditions and run on fully closed roads. Stay tuned for part two as we will give you insights the race and riding in the Snowy Mountains. An extensive print feature will also launch in New Zealand Cycling Journal Volume 9.